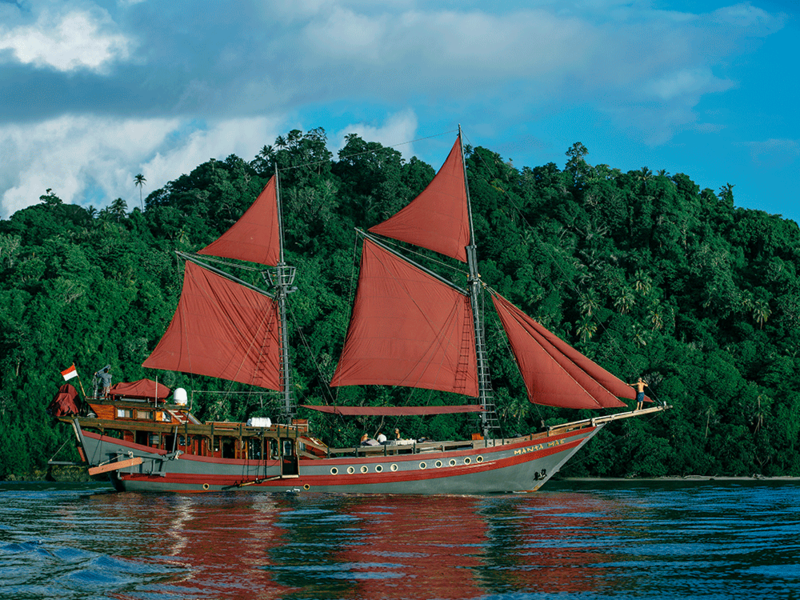 The true spirit of Indonesia’s maritime heritage, a unique luxury experience. 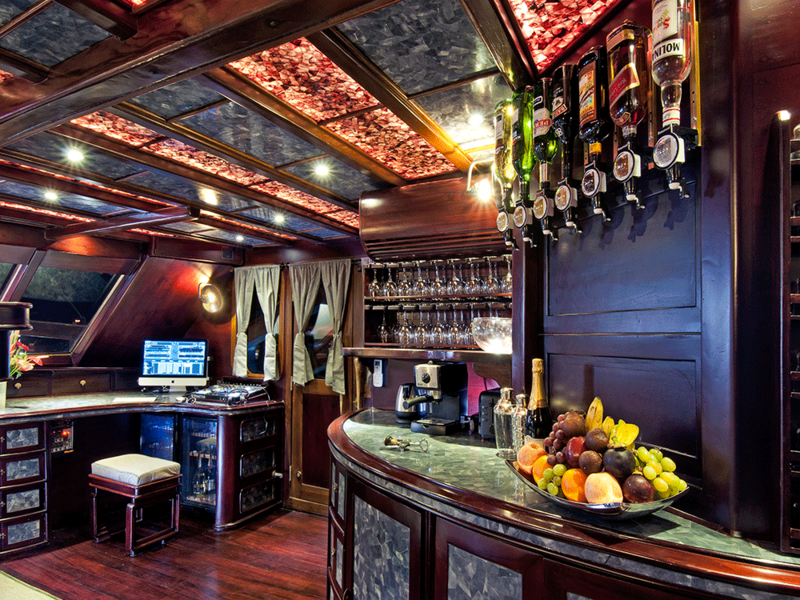 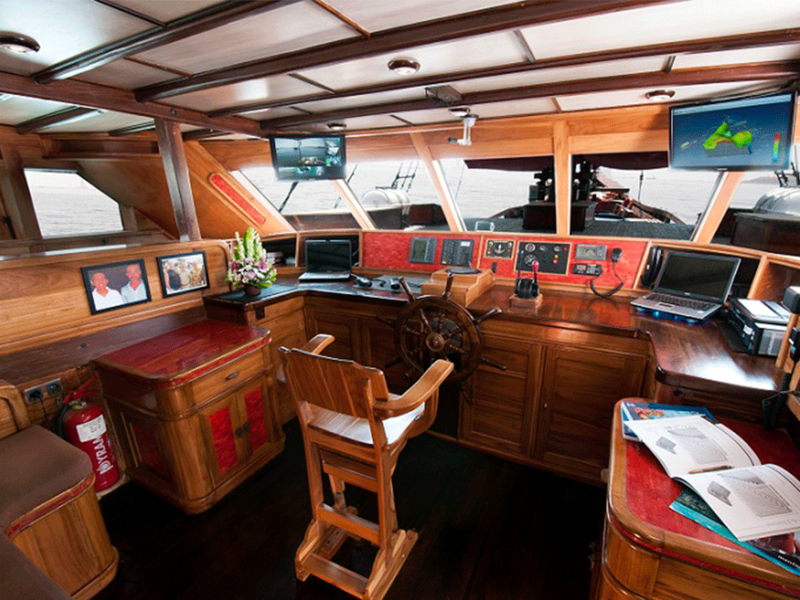 Mantamae is a luxury 31-meter Phinisi ironwood schooner launched in 2014. 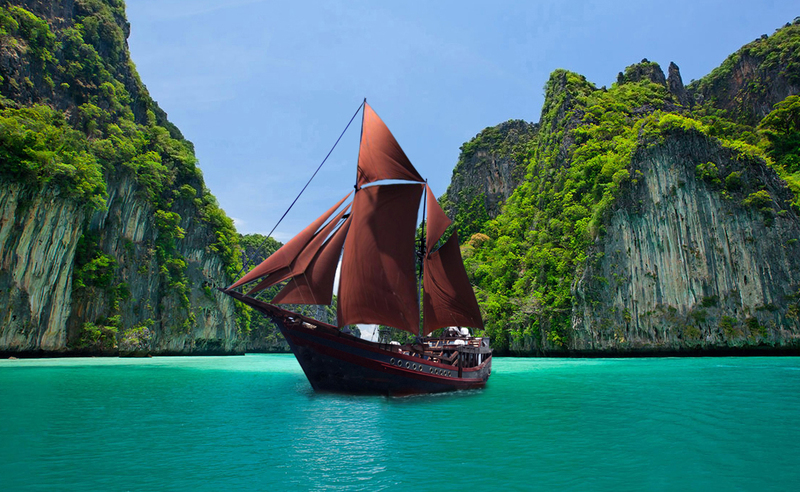 Ideal for the ones who are seeking to live an extraordinary experience in a pristine paradise: Indonesian archipelago of Raja Ampat. 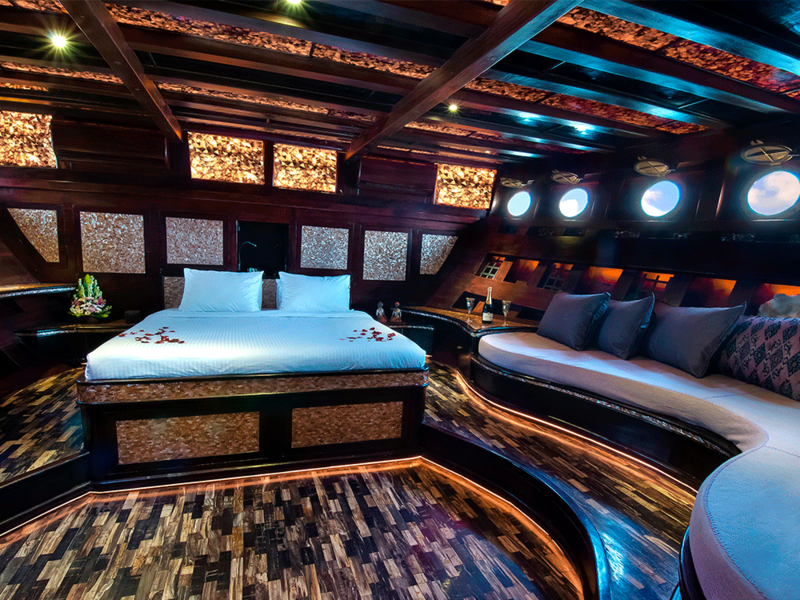 Mantamae is the best luxury solution for the most curious travellers with the passion for cruising and exploring each remote corner of the planet in complete comfort and safety. 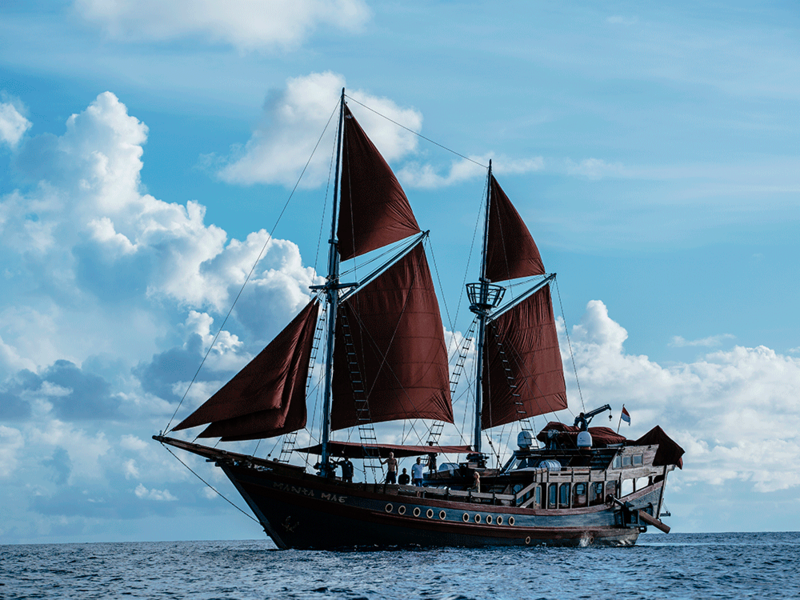 Twin masts, elegant bowsprit and sevensail rigging: the Mantamae gives the taste of a bygone age in a world of commonplace modern yacht charters. 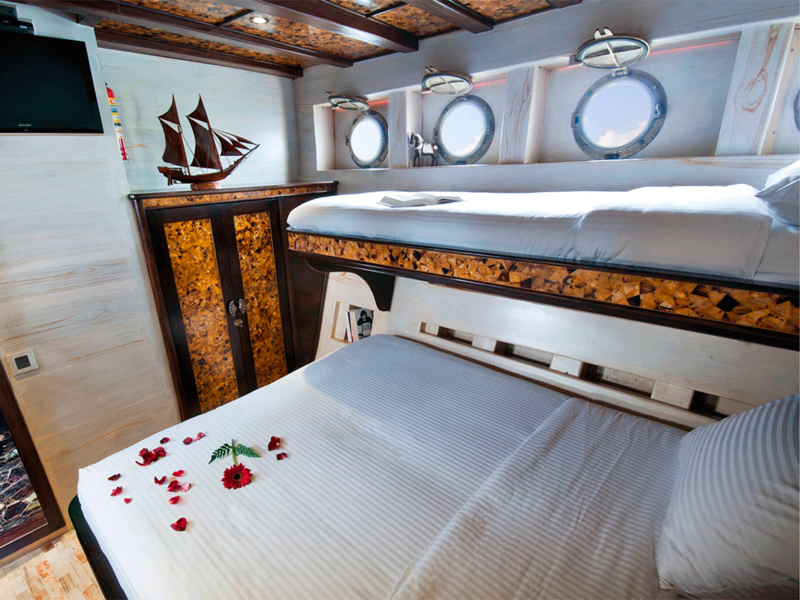 A perfect combination of the ancient romantic traditions and the modern design and technology. 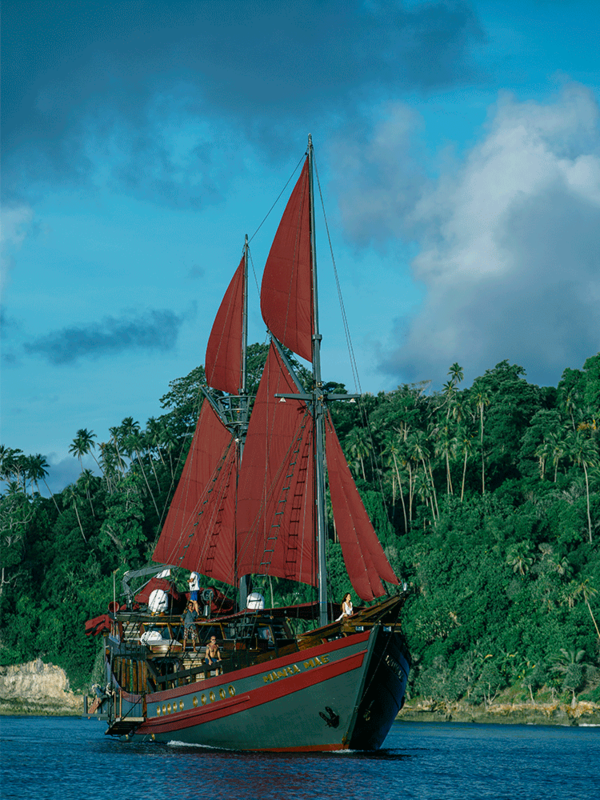 Did you know that the keel of Mantamae was obtained from a single rare Ironwood tree found in the jungles of Kalimantan and shaped following traditional methods of construction as well as mystical rituals handed down through generations? 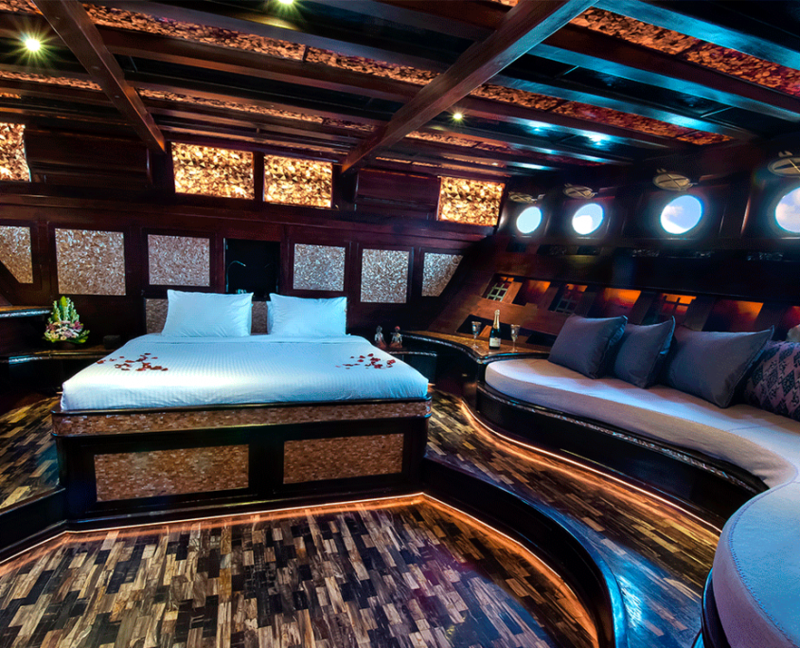 After the completion of the hull and super-structure, she was hand-hauled into the water and floated on a high tide, then moved to Bali where master craftsmen fitted it out using the best natural materials. 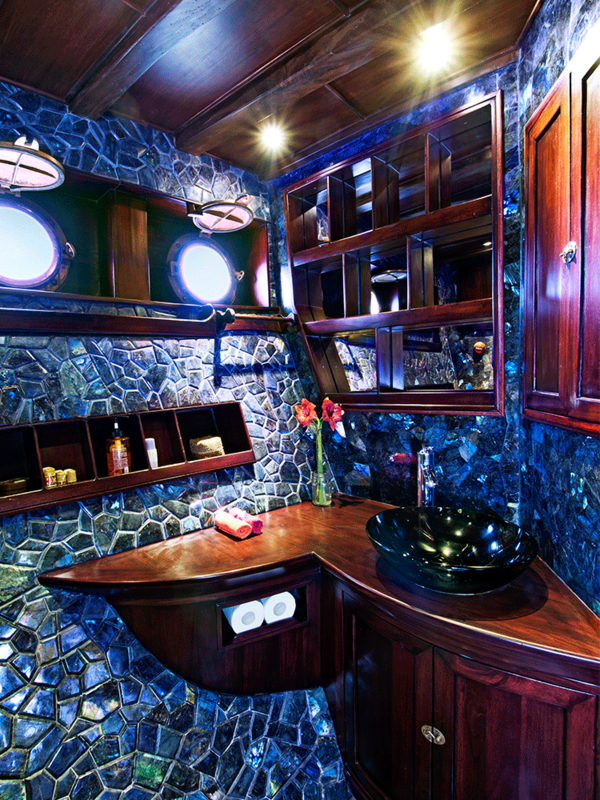 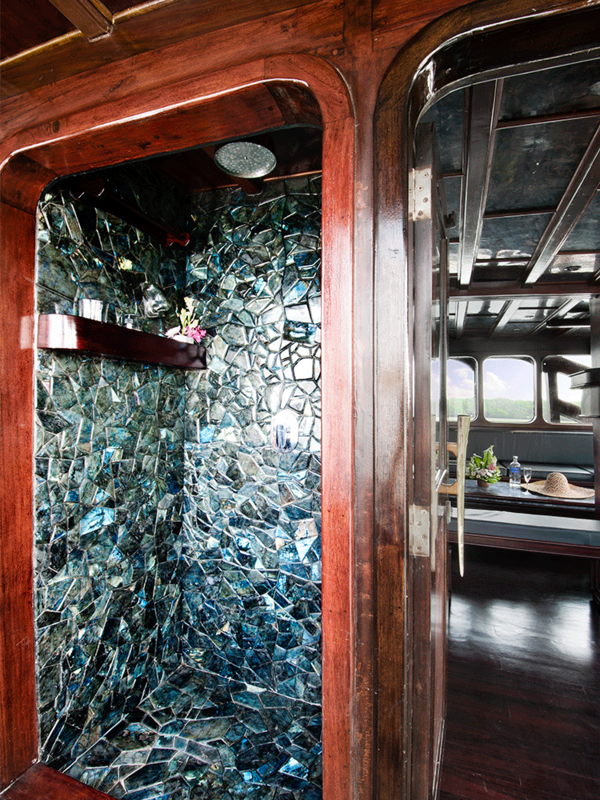 Polished Indonesian teakwood were used for the decks, and interiors richly adorned with fossilized wood and semi-precious stones from Madagascar. 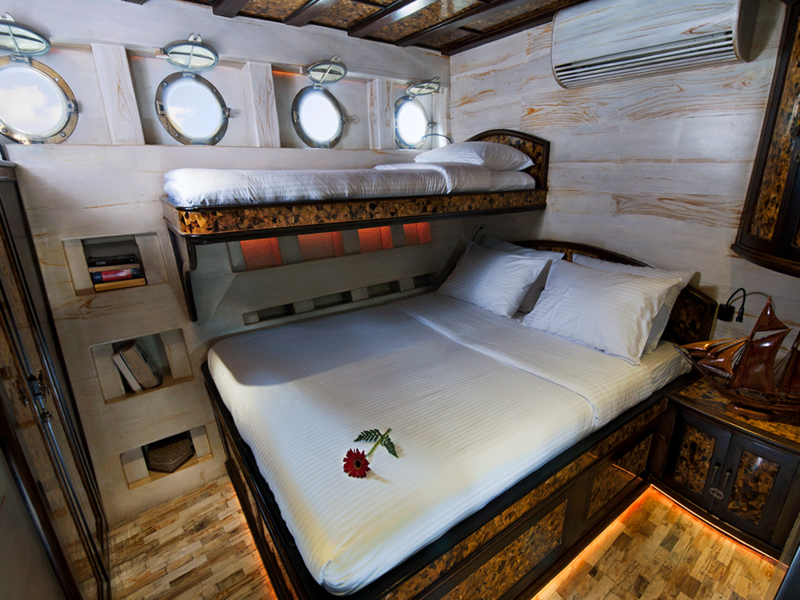 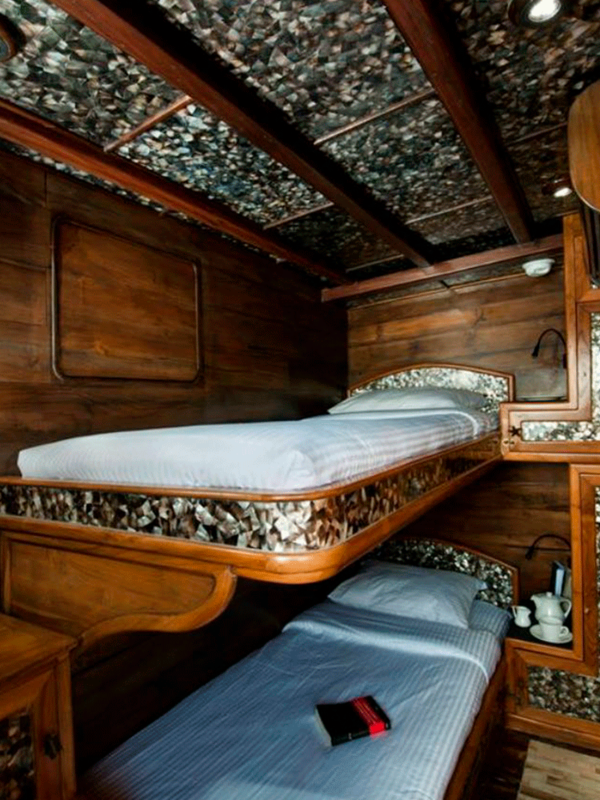 With a master cabin plus two others with bunkbeds and on the main deck a bunk beds with private bathroom – perfect for older kids or friends sharing a cabin, can accommodate a total of 10 guests. 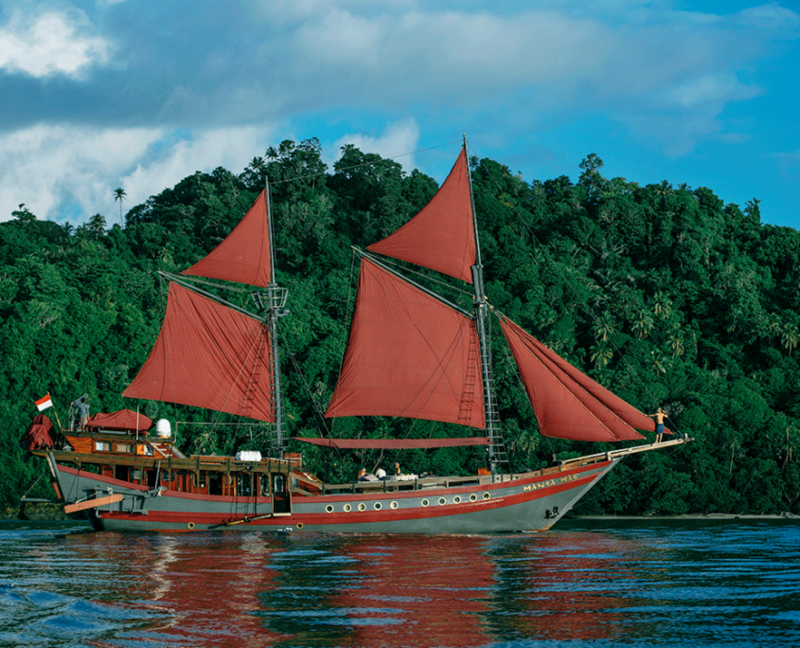 You’ll find life aboard Mantamae fun and laidback. 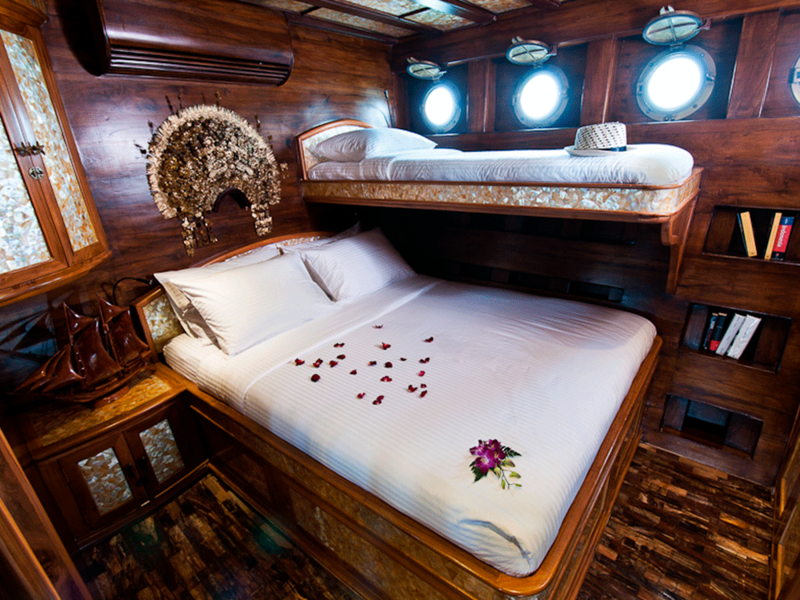 She is the perfect choice for diving enthusiasts or for anyone that has ever dreamed of being gently rocked by the Indian Ocean. 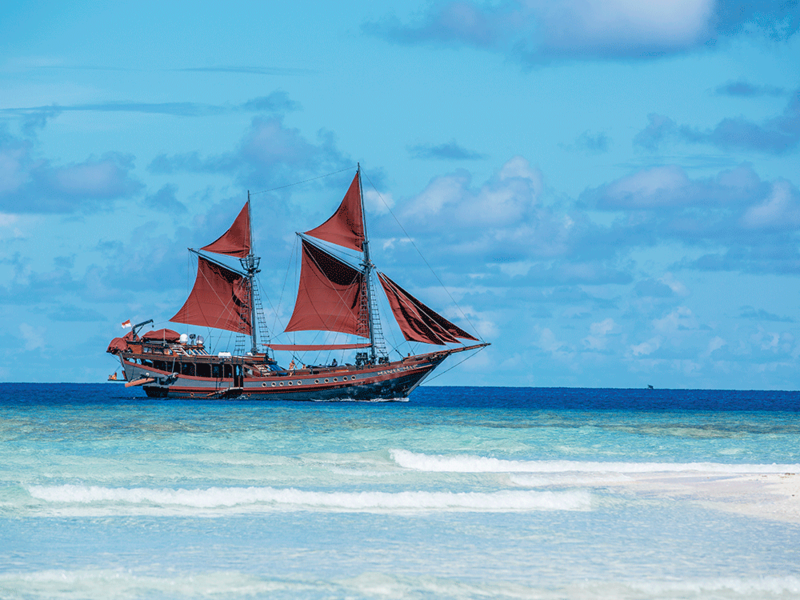 Your holiday aboard Mantamae will also bring you into genuine contact with the culture of this enchanted area of the world. 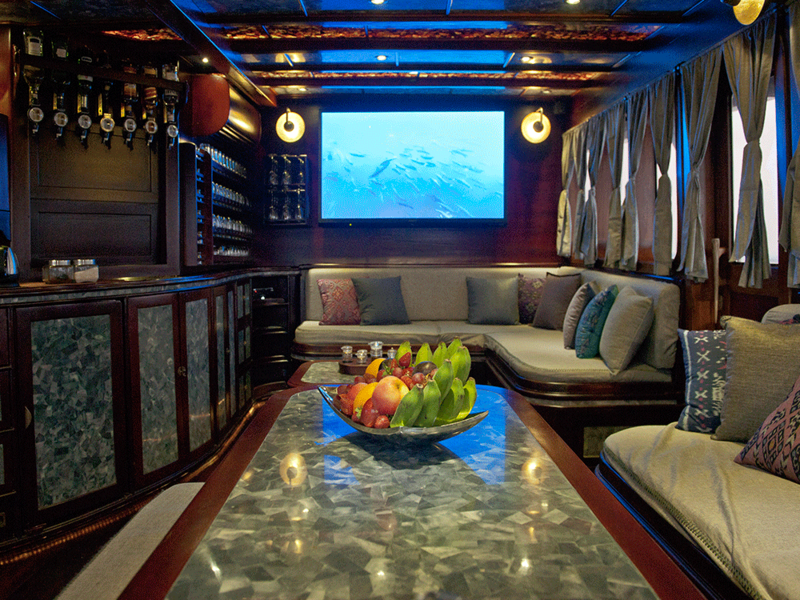 It is a real paradise for divers too: Manta rays and whale sharks are just a few stunning animals you may encounter as you swim with the onboard dive masters. 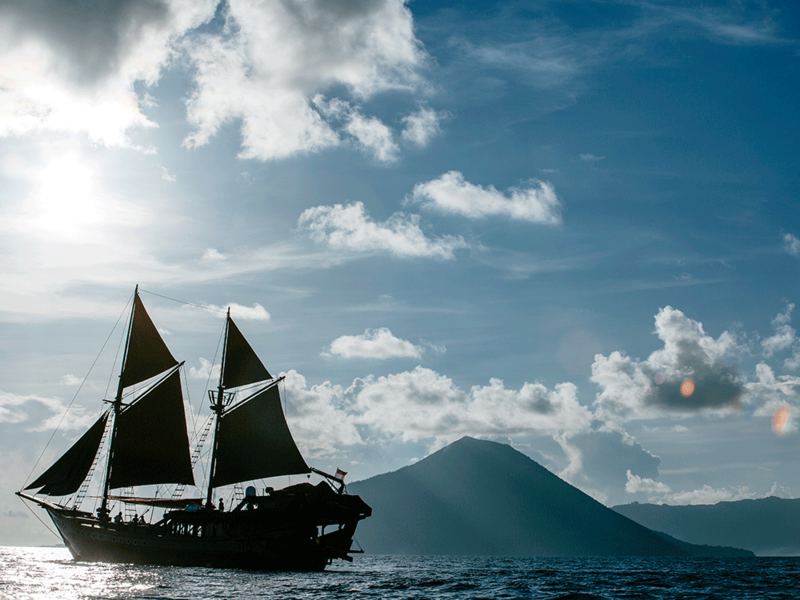 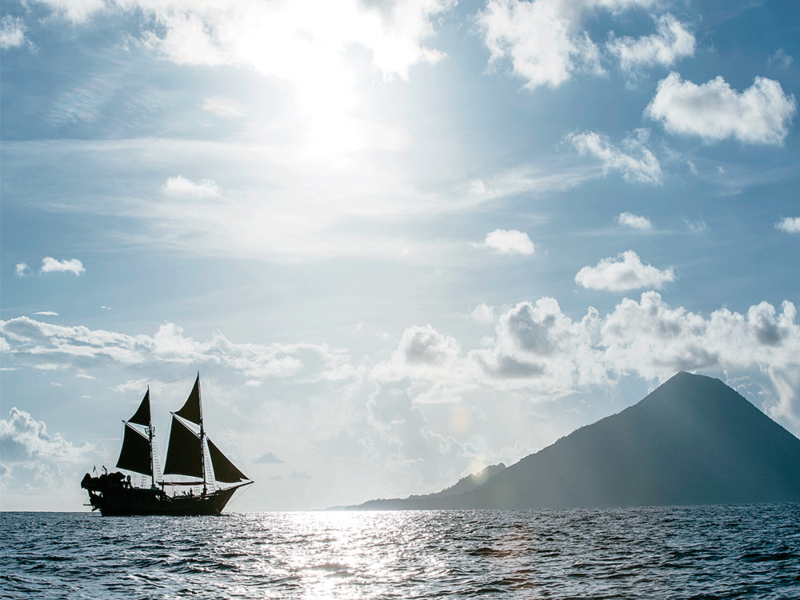 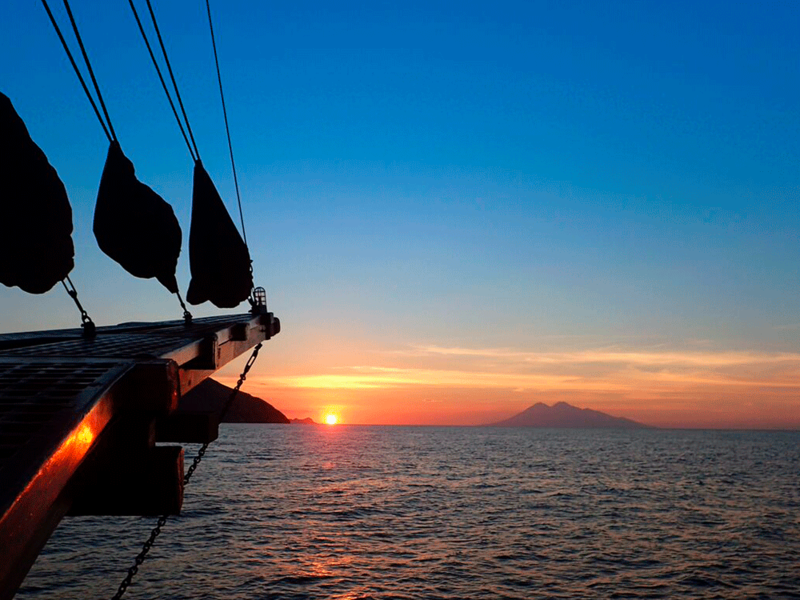 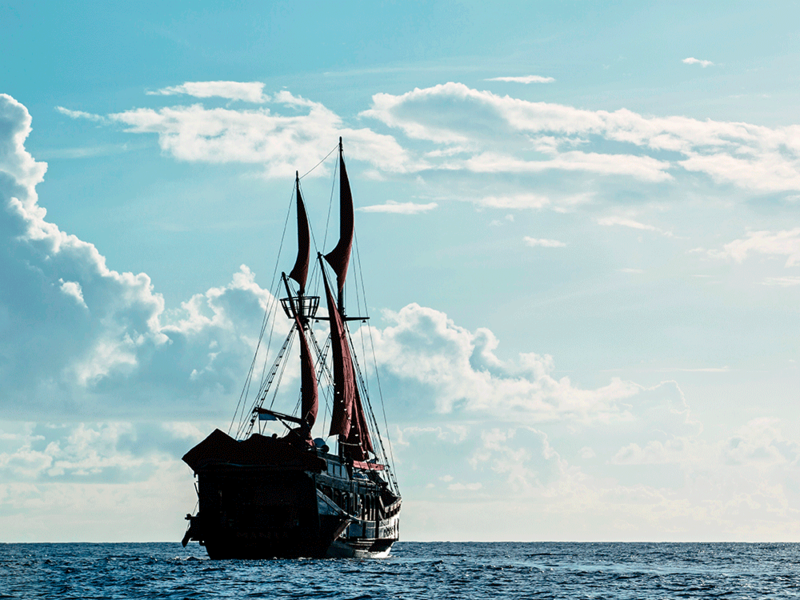 A fascinating adventure through the true spirit of Indonesia’s maritime heritage awaits you!